Our personal training is really the heart of our fitness center. Our aim is to provide you with all the tools and expertise necessary to help you reach your fitness goals. Working 1-on-1 with a experienced and certified personal trainer is truly key to your success, providing you motivation, accountability, and guidance so you can achieve your goals. As experienced professional athletes, we specialize with injury & restoring the body and strengthening areas of weakness. All of the programs we offer can be taught on an individual basis. Taught by professional experienced fighters. System teaches Muay Thai and Dutch style kickboxing with proper defenses and techniques. Pad work and partner work are also part of the program. When ready light contact sparring is also with in our system. We are belt ranked system. MMA circuit is done at the end of class for extra strength and conditioning. Taught through Mixed Martial Arts (MMA) 4days a week, . 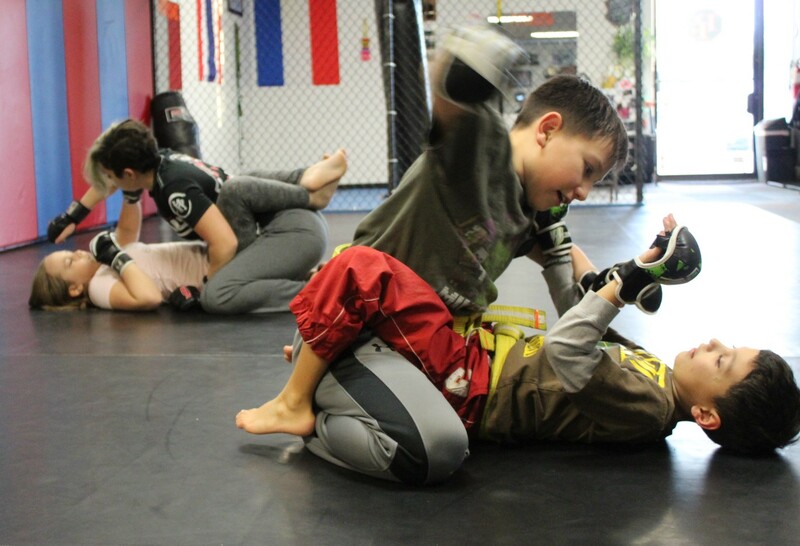 Children have the opportunity to learn, Kickboxing, Muay Thai, boxing, BJJ, and self defense. Bully prevention and situation control is a major focus. We teach real life situations and how to control them before and altercation accurse. We also equip your child with the ability to defend themselves, from standing to ground fighting. Our program is also a great opportunity for peer interaction and team building. ProFound's youth program is a belted system, so children can earn a ranking with their gained knowledge. 5 week program, 3 days a week. Designed to increase cognitive abilities, flexibility, and encourage healthy living. Functional fitness and proper fitness technique are the base of our program. Each individuals needs are met in a group atmosphere. We also teach basic martial arts in the program, given a basic understanding of kickboxing and boxing. If group training is not part of your fitness goals, personal training is also available for our special needs community. We work with many needs, anywhere from ambulatory issues, down syndrome, cerebral palsy, autism, and much more. 6 week program 3 days a week. Monday, Wednesday, Friday, 5:30pm - 6:30pm. Designed to increase strength, flexibility, mobility and make everyday living more easy. We meet and modify to the clients needs within a group atmosphere, insuring proper techniques. The group also has the opportunity to learn basic boxing and kickboxing technique. Our goal is to restore mobility and strength injured or weak areas in the body through focused functional fitness. Female only class. Teaches proper submission grappling, no experience necessary. Great program for self -defense and submission fighting. Come meet with one of our trainers and talk about your fitness goals.